1. All items are in fine or better condition unless noted otherwise in the description. All items are sold subject to your being satisfied with same; any item purchased from me is returnable in a timely manner for a prompt and courteous refund, exchange or credit on a future purchase. 2. All listings are net price and subject to prior sale. Purchased items are automatically removed from my online catalog. However, due to phone orders and other sales, sometimes there may be an item shown that has been sold. In this case, your payment will be refunded unless you indicate alternates. 3. American Express, Discover, MasterCard and Visa are accepted. My checkout system will prompt you for all required information. As a convenience to you, you may set up an account while placing your first order on my website. Using your last name and a password, you will be able to pull up your account for future purchases. For security reasons, only the last four digits of your credit card number are stored online. You may also send payment by check or money order, but it must be in US funds; items will be held for five days pending receipt of check or money order. 4. Orders for stamps totaling $50 or over are sent postpaid; less than $50 a charge of $1.25 is made for postage and handling. 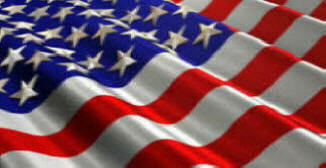 For sheet orders, there is a charge of $6.70 per order for postage and handing for shipments made in the US. These orders will be shipped Priority mail in a rigid container. For shipments to other countries, please allow for actual costs. 5. Illinois state residents will be charged 8% sales tax. 6. There are many items where we may have more than one example in stock in the same condition. In this situation, the image shown will be representative of the item for sale. This applies mainly to lower price items. 7. 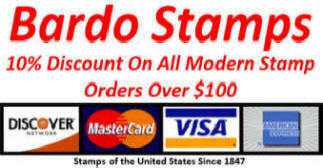 The 10% discount to an order applies only to stamps listing at less than $50.00. Items over $50.00 are net prices.